A funny twist on playground fun. You'll love it! Top packages from £10pp. We're hard to beat. What are Kids Nerf Wars Parties? We work with 100's of venues across the UK so can guarantee to get you a venue within 3 miles of anywhere in the UK. Kids Nerf Parties have been a huge success, there is no more greater fun and is an excellent way to encourage imaginative fun whilst staying completely safe. It's the latest craze and the alternative to bouncy castles, clowns, magicians & Discos etc. Check out our promotional nerf wars videos and discover the hype. What do Kids Nerf Parties offer? We offer the nerf wars games in the UK and unlike the competition, we also offer venue-inclusive packages. The venues for playing the sport can also be suggested by YOU, which means you can hire our nerf wars equipment for use in your local sports centre or outdoor area. 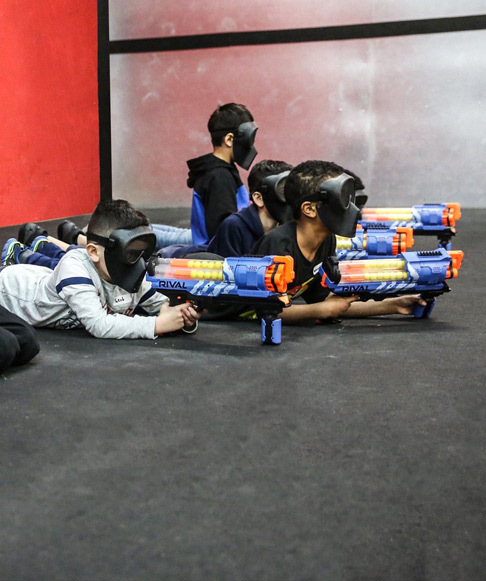 Nerf parties offer a truly unique experience for ages 5 and above. Bunkers and barricades are inflated to provide the nerf warriors with a truly unique experience. All players will be kitted out with N-strike nerf gear, vests, bullets, holders and protective glasses. All of our coordinators are fully trained and qualified. Our team have 4+ years experience within the events industry. Perfect for any occasion, our nerf parties cater for birthdays, school holiday activities, team building, stag / hen do’s or simply to setting a score. Nerf parties offer various games to keep the guests entertained throughout. Classic Nerf Wars Capture the flag and team Deathmatch are all popular mini games. We operate parties all across the UK. 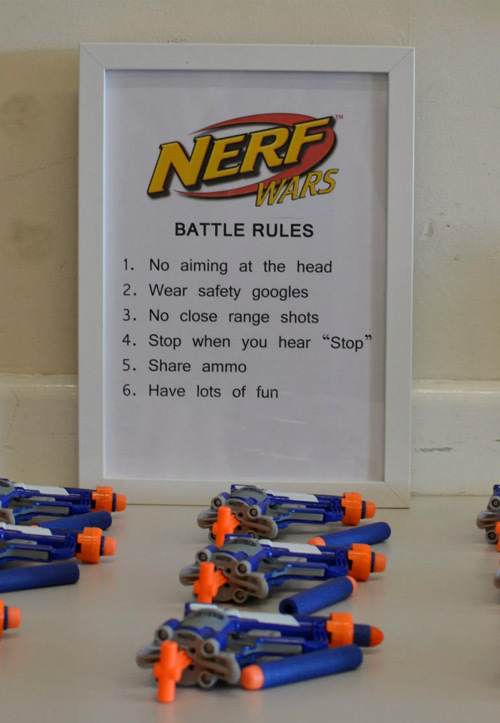 All inclusive nerf parties include venue hire within 1 to 3 miles of your post code. Shoot us a message and book your nerf party today - no pun intended! All kids love a nerf war party!